The advantage watermakers offer is an assurance of plenty of water aboard to ensure you can enjoy your boating. 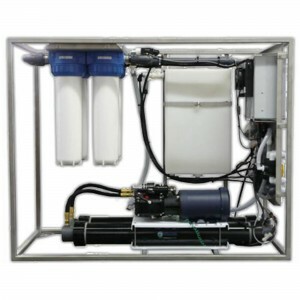 While traditionally we have relied on filling our tanks at marinas and filling stations, it is not only becoming harder to find suitable locations to find quality potable water, but it also means you have carry this water around with you costing you more in diesel and slowing your boats performance. 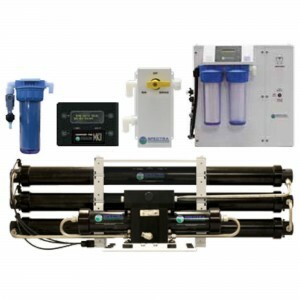 Enertec offer a range of high efficiency, compact, lightweight and easy to operate watermakers that allow you to produce your own quality potable water directly from the sea. Our range starts with the compact and simple to operate Katadyn systems, with manually operated models designed for emergency use through to electrically operated models for small vessels. Then we have our Spectra range of watermakers which offer extremely high efficiency (around 1/3 of the energy required by any traditional system for the same output), that allow you to run the system directly from batteries rather than requiring a large AC generator. Furthermore Spectra’s energy recovery technology is not affected by sea water temperatures like traditional system are. 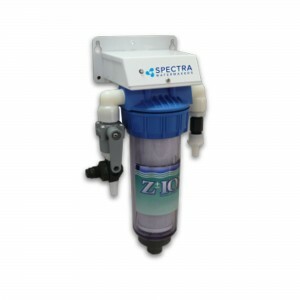 Thus a Spectra system will produce its rated flow in nearly all sea water temperatures, whereas traditional system are rated at sea water temperatures of 25°C with their water production dropping significantly in sea water temperatures below 25°C. 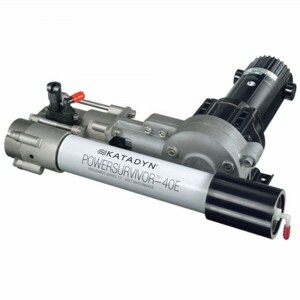 Katadyn and Spectra watermakers allow you the freedom to enjoy your boating.